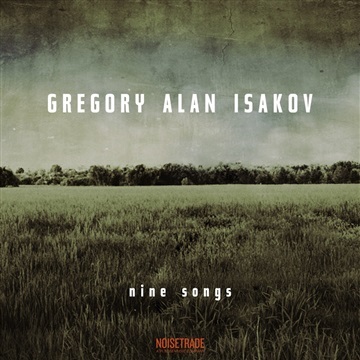 In advance of Colorado singer/songwriter Gregory Alan Isakov’s new studio album “Evening Machines” (out October 5 on Dualtone), “nine songs” takes a dive through Isakov's catalog and his creative process, past and present. His poetic lyrics and masterful storytelling have been the steadfast pillars of his music. From his very first well-known song “The Stable Song” to his new single “Dark, Dark, Dark,” this sampler shows Isakov’s consistent growth in the complexity of the arrangements and the sophistication of his songwriting. Isakov’s new album Evening Machines is "his most mature and singular-sounding record to date,” according to the Denver Post, and “[blends] a gentle spaciousness with dusky atmospheres and carefully nuanced textures,” in the opinion of Billboard. He and his band have embarked on a worldwide tour in support of the album, including a sold-out show at Red Rocks. Recorded at a converted barn studio located on Isakov’s three-acre farm in Boulder County, CO, Evening Machines was self-produced and mixed by Tucker Martine (Neko Case, The Decemberists) and Andrew Berlin (Descendents, Rise Against).